As artificial intelligence evolves, marketers are discovering uniques ways to harness this technology to better engage audiences. 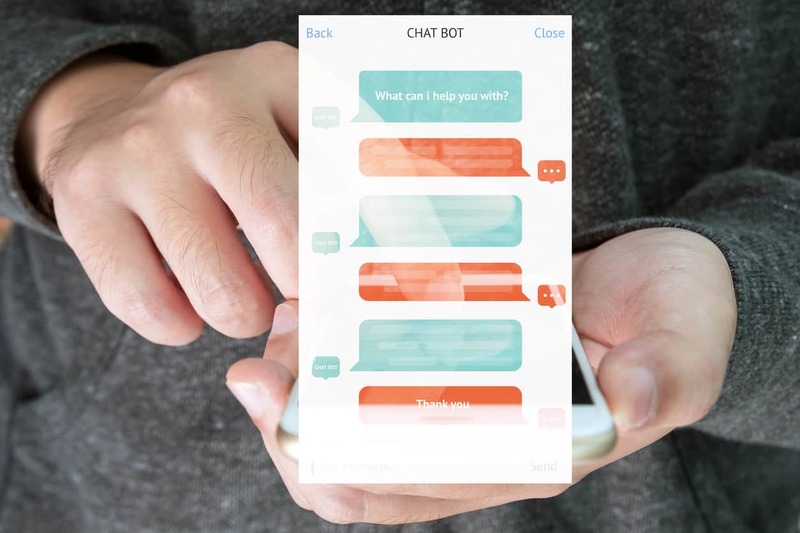 Many enterprises have found that chatbots serve as excellent tools for informing shoppers, recommending services and products, and providing additional customer support. Companies such as eBay, Starbucks, Lyft, and Sephora have implemented chatbots to improve the overall customer experience. The reason these multinational corporations are building chatbots into their websites and apps is that users expect them to be there. In fact, 35 percent of consumers want to see more companies using chatbots. Many organizations find that developing a chatbot marketing strategy significantly impacts the efficacy of these A.I. plugins and helps achieve essential business goals. A chatbot fulfills people’s need for immediate satisfaction. Research shows that 57 percent of users interact with chatbots because they provide information instantaneously. A human can only be available to provide support so often. With a chatbot, you don’t have to worry about staffing a support department to provide your customers with the information and assistance they require. Chatbots ultimately allow businesses to use personalization and targeting capabilities to answer questions, make recommendations, and send individualized messaging to audiences. However, chatbots only increase conversions for companies that thoroughly develop a marketing strategy before implementation. Marketing teams should craft content around engaging in conversations with site visitors, asking pertinent questions to research shoppers, moving leads through the funnel, and selling additional products and services. The process of creating a chatbot marketing strategy requires a clear understanding of your business goals. If you are launching a new product line and you want shoppers to learn about it, you would develop chatbot content that recommends these items based on answers users provide to a series of questions. For those trying to provide better customer service, a chatbot marketing strategy means providing the 24/7 year-round support your target audience demands. Part of developing a chatbot marketing strategy is finding the best WordPress chatbot plugin to achieve your goals. Chatbots can perform a variety of functions. If you want to install a chatbot that provides customer support, the highest recommended ones include Free Live Chat + 24/7 Automated Bot, VirtualSpirits Chatbot, and IBM Watson Assistant. Other chatbots allow you to provide recommendations and additional information, while also collecting valuable data about your shoppers. Collect.chat and Gobot are both great plugins to use for this purpose. There are a variety of chatbot WordPress plugins available that can meet any of your company’s needs. These plugins allow you to customize your chatbot, so your business can build the perfect tool. Research LiveChat, Tidio, Live Chat Unlimited, and PureChat to find the plugin that’s right for your chatbot marketing strategy. There are so many benefits to installing a WordPress chatbot plugin on your website. It’s a nuanced process that involves a well-defined chatbot marketing strategy. If your business is ready to implement a chatbot marketing strategy, work with the WordPress and content marketing experts at Proactive WP. Our team has the expertise to both maintain your WordPress site and chatbot, as well as develop your marketing strategy. Contact us about your WordPress chatbot now.